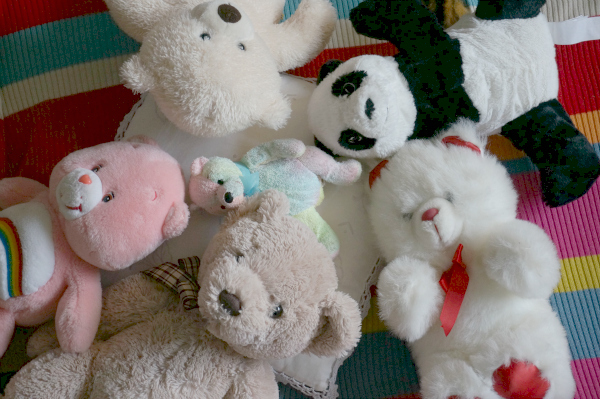 When I was a little girl I loved lining up all my teddy bears and playing school with them. 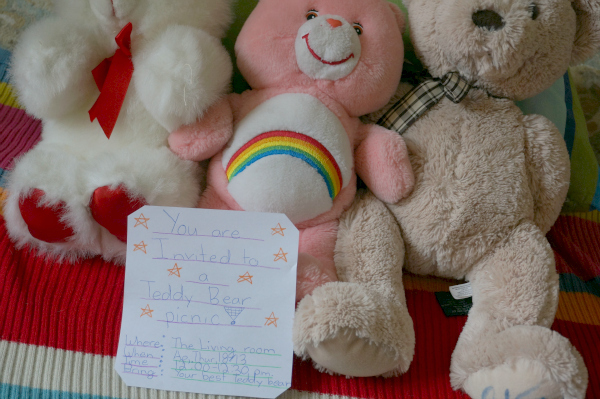 So, of course I wanted to host a teddy bear picnic with my girls’ and their teddy bears. Isn’t it funny how the things we love as children easily translate to our own children. 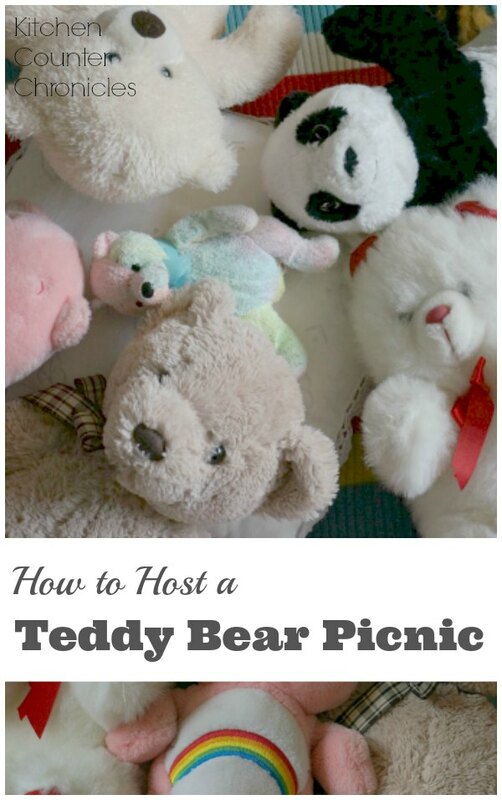 It is so very simple…no special equipment required…anyone can host a teddy bear picnic. It all begins with the blanket. Lay down a blanket (indoors or outdoors) and gather up some teddy bears. With a slip of paper and some pencil crayons, my girls created an official invitation and an official menu for the picnic. Gather up your favourite teddy bear themed books. The girls read the teddy themed books to their bears. A teddy bear picnic is the perfect way to get down on your child’s level and play. We decided to host our party right in the middle of our living room floor. Our picnic was perfect for a rainy afternoon, but I cannot wait for the warm, dry weather so we can take our picnic outside. 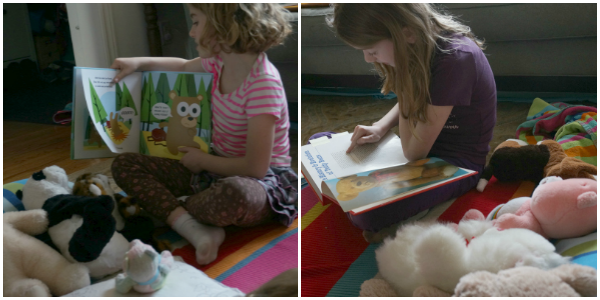 I absolutely LOVED watching my daughters’ read to their teddy bears. When was the last time you went on a teddy bear picnic? SIGN UP HERE TO HAVE OUR DELICIOUS RECIPES, FUN CRAFTS & ACTIVITIES DELIVERED DIRECTLY TO YOUR INBOX. Oh, what fun! I love the invitations that your daughters created for their picnic. And yes, I agree… great for indoors and out! Thanks for sharing and being a part of our 100 Days of Play! I have linked up your post and it has been shared!! Sorry I was a day late doing so… I was without a computer for a couple of days!! We have lots of indoor picnics when raining… but never a teddy bear picnic! How fun!